"Batik is a the process of writing a picture or decoration on any media by using the wax as a medium to coloring" (International Batik Convention in Yogyakarta,1997). Therefore, in designing the “kampung batik”, the design focus on the process, stitching layer upon layer, combining the past and the future, making a harmonious design within cultures, people and the environment meet. 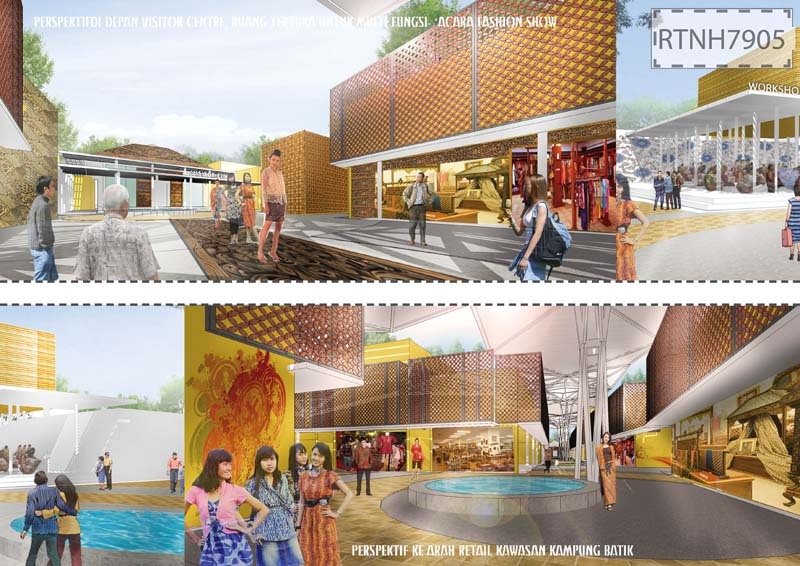 This competition was held by the local government of Semarang to proposed a new design and idea of the “Kampung Batik”. Kampung Batik is located at North Semarang city near the Old Colonial city of Semarang. 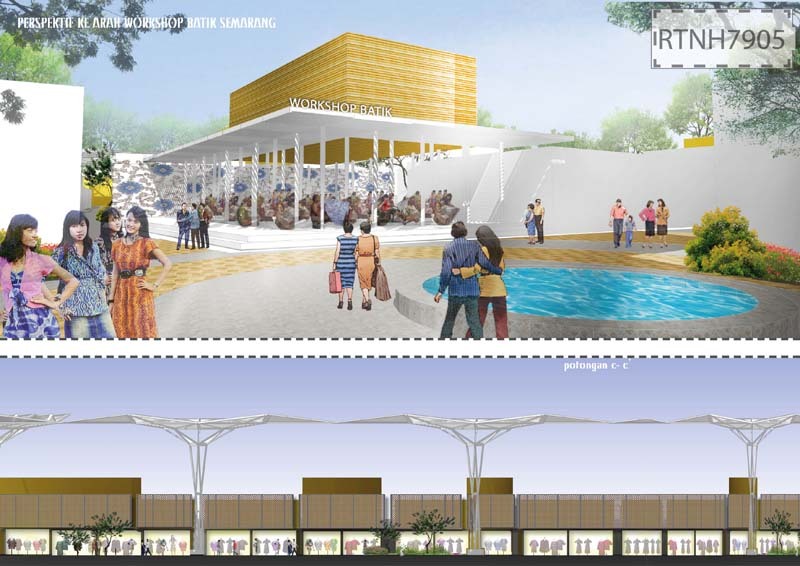 It expected to become the center of batik , as well as a new tourist destination in Semarang city. 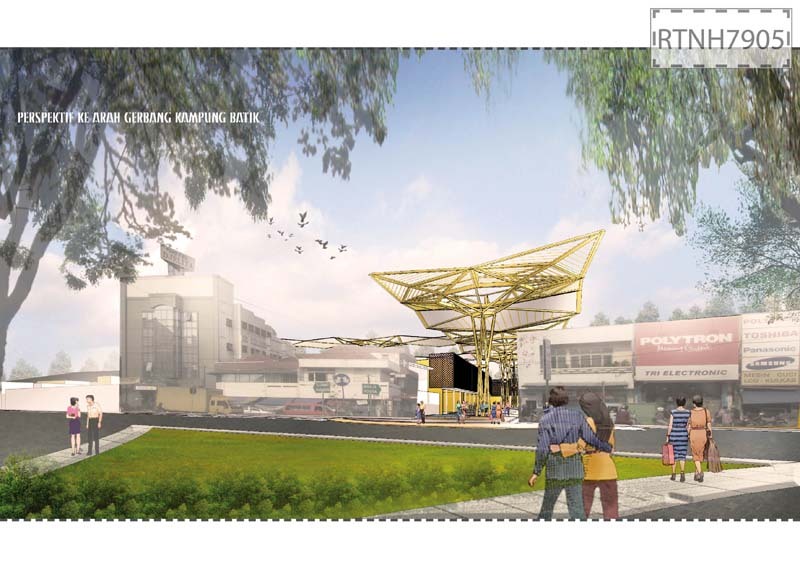 There are several issues during designing this Kampung Batik, they are the complexticity of the residential, lack of open space, and ownership of the building there. The realization of the design is expected to be inexpensive and can benefit all parties. 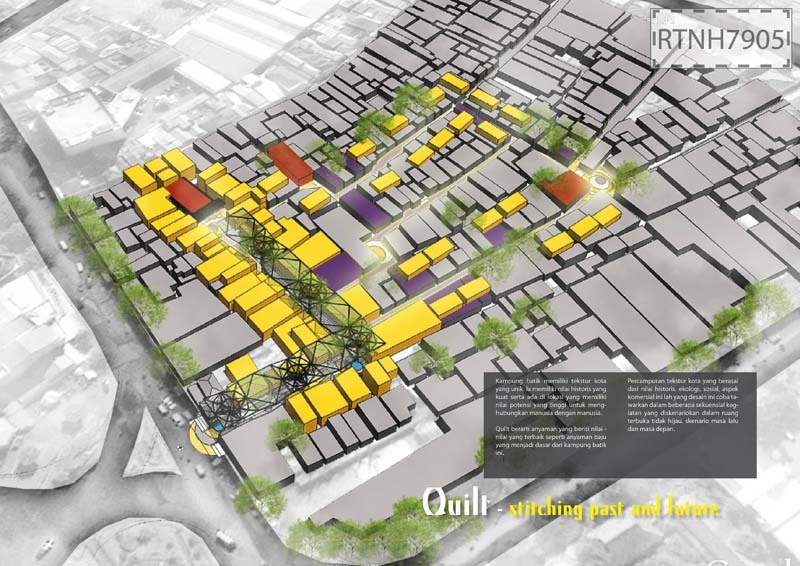 The design is divided into two phases, where at the first phase, the design propose minimal intervention to a few buildings and the neighborhoods, while continuing to raise funds. 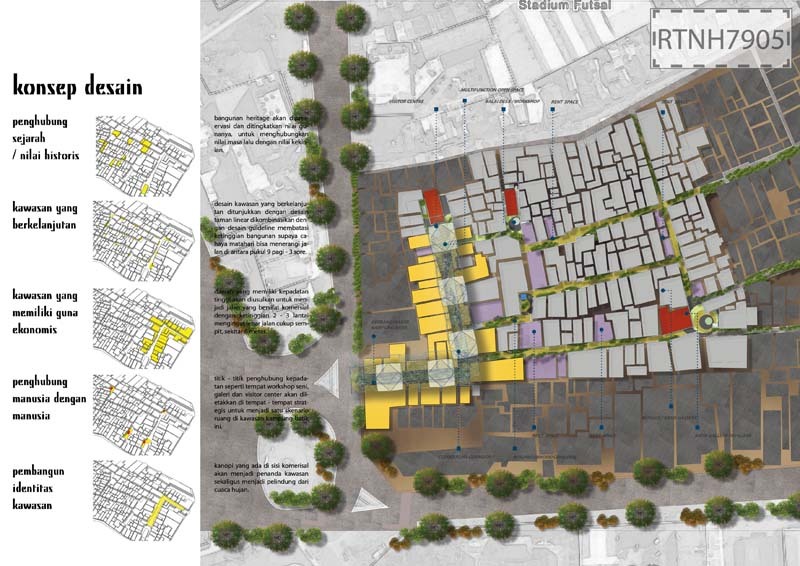 The second phase, the proposal offers new identity with the replacement of some buildings, building facades and the addition of a large canopy that stands out for the village. We also made some events proposal to maintain the continuity of the Kampung Batik.